In this tutorial you are going to learn how to change word layoutfor the whole document, something that can dramatically improve the appearance of your documents. 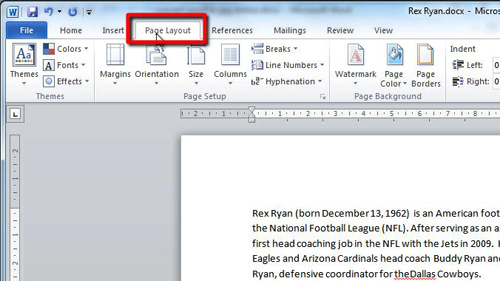 Start Microsoft Word and load a document which you want to change the page layout for. In the tabs at the top you will notice one called “Page Layout”, click on this. There are too many layout settings to cover them all here, so let’s just look at a few of the basics. 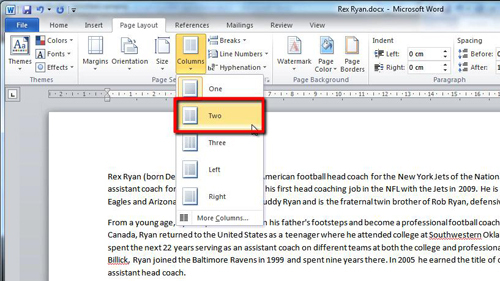 First, you can adjust the “Orientation” of the document, such as changing it from portrait to landscape. It is also possible to select the number of columns that you want the page to have, here we can change it from one main column to two. When learning how to change word layoutfor the whole document Word makes it easy as any changes you make will automatically be applied to the whole document. 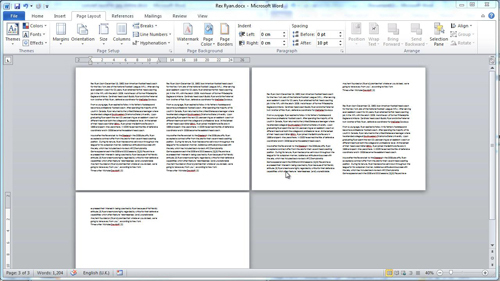 We can see this by zooming out on the document – all the pages are landscape and have two columns.